The trading in the 21 st century is driven by Algorithmic software. It doesn’t have emotions, fear, greed and it always sticks to the strategy. But the markets changes very quickly. From our experiences we know that betting on a single strategy is not very wise. 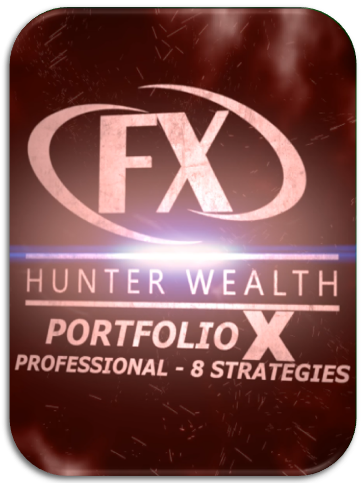 The main idea of the portfolio is that it’s based on short term and long term strategies operation on the uncorrelated FX pairs. Uncorrelated means that the pairs don’t have to necessarily move together, nor they necessarily move in opposite directions. Hence, they are uncorrelated. Implementation the basics of this idea was inspired by a mutual fund, that has out performed the overall markets over the years. We have selected sixteen strategies with the specific settings from the thousands which has passed our ten strict and hard test as the in/out sample development, Monte Carlo test, volatility change test, different time frames and different pairs tests than strategy was designed for. For the details about it click to button below. Power of sixteen robots !! 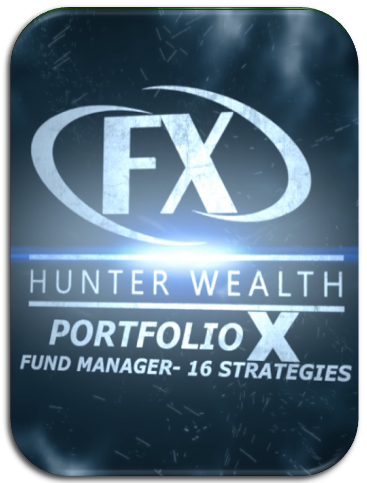 Portfolio X contains 16 uncorrelated fully Automated short terms and long term strategies. 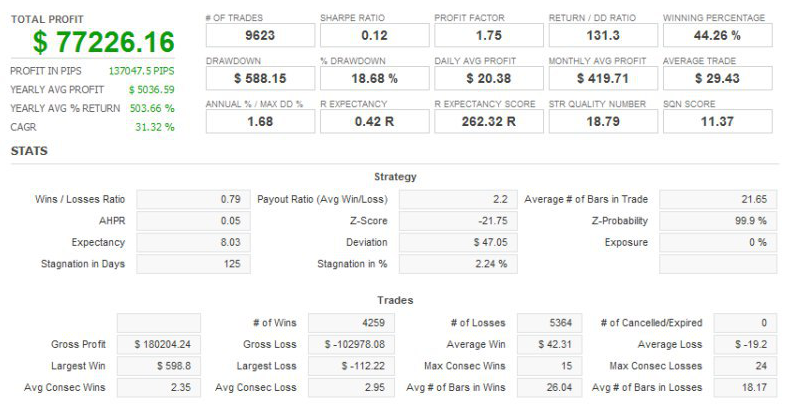 Strategies has a different trading logic and are designed for multiple time frames and the financial instruments that don’t have to necessarily move together. Implementation of this basics brings the stability in all market conditions. 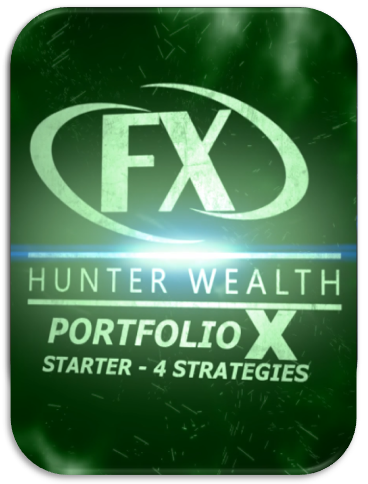 Starter version contains only four strategies for the EURUSD and GBPJPY designed for the multiple time frames and different trading logic. This small package has ability to operate with stable result on the financial markets. But for the full advantage of the algo rhytmic portfolio trading we suggest to upgrade to fund manager version with complete sixteen uncorrelated straetgies. Martingale, Grid, Averaging, Arbitrage, Hedging or any other technique is NOT ever used. All strategies are simple and every order has always placed a Stop loss , Take Profit and early exits conditions applied. The portfolio is designed for the two triangles of uncorrelated currency pairs GBP, EUR, USD and JPY. Professional version contains all strategies from the starter version. Plus another four strategies for the USDJPY and GBPUSD designed for the multiple time frames and different trading logic. This package is more advanced than the starter thanks to diversification between multiple instruments. For the full advantage of the algo rhytmic portfolio you can upgrade for the fund manager version with another eight strategies. Previous trading experiences are not needed to start. System is ready and optimized for the start in 10 minutes. The leverage 1:30 is enough. Thus, its suitable for the European trader to trade with the brokers regulated by the ESMA regulation. U.S traders which are not allowed to use hedging can use this system too. 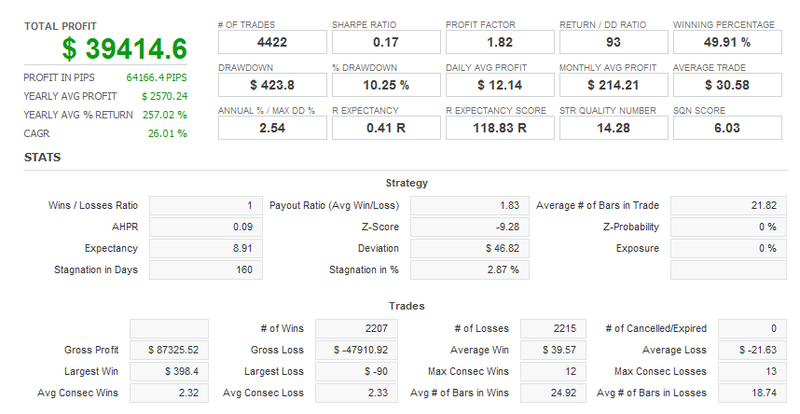 Fund Manager version is complete professional portfolio of the sixteen uncorrelated fully automated strategies. However starter and professional versions have a good results too. The complete portfolio is robust and the most balanced trading system, which has ability to work consistently in all market conditions for a long time in future. This package contains free updates of the future strategies. It’s all started in 2012 as a dream to become an independent trader. The decision not to stop until I succeed, led me to move to another country and took a job in an international brokerage company. Watching charts ten hours a day, has developed my sense for the markets. I realized how big players are able to effectively manipulate the market, so that most traders lose. 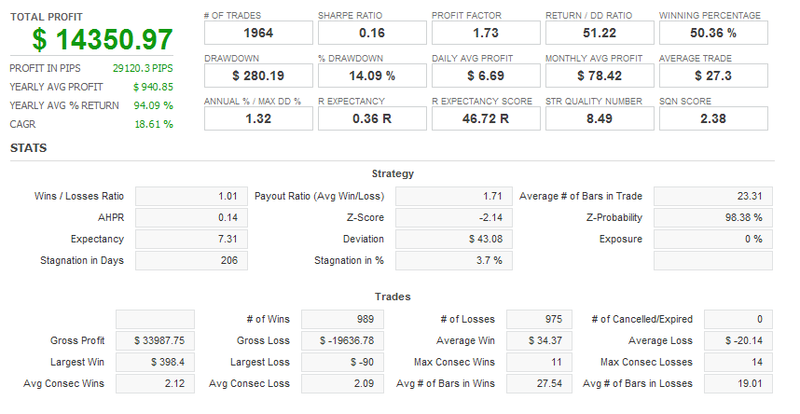 Based on these experiences, I could developed my powerful trading strategies. After more than 8000 hours of chart time, my trading has became finally more stable and consistent. In the coming years my dreams came true. As you can see, becoming a successful trader is a difficult, but for the dedicated persons it’s not impossible. Our mission is to continuously improve our trading skills, automated systems and help others to became better traders. We understand that trading is not for everyone to take it as a full-time gig. That is why we have introduced a variety of services as to help the busiest people to profit on from the opportunities on the financial markets. With help of our automated trading systems or copy trading. Trading is not a science, its an art. You dont need a degree to become a FX trader. You need only a dream, passion, dedication and someone who is already on right path…. Every PRO must study over the five years before they start to make money in their industry. Don´t expect that trading is easier. Its actually much more difficult. So stop looking for the secret magic indicators, there is not the one mechanical system that can predict movement with + 60% accuracy. Understanding why the market ticks is a must to master the ability to read the banks game and predict their future moves. Only with right risk management we can face obstacles of fear, greed and other psychological aspects and win in long term run. 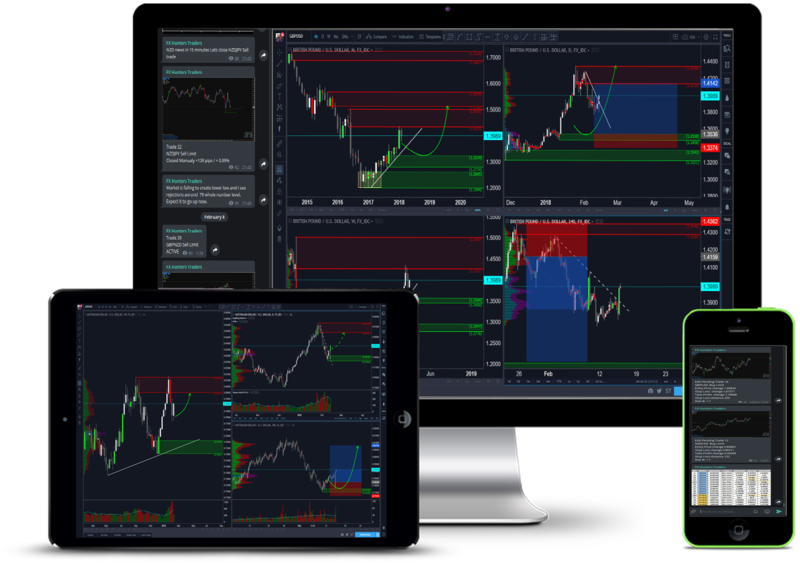 We read Multi time frame Market Profile, Volume and Supply/Demand zones to analyze and predict next potential moves. We share our free analysis in telegram channel. Those who wants the exact entries and explanation of the orders we execute can join our educative signals channel. Just for one lifetime donation. We always plan our trading setups on the weekends when the market are closed. So we have time to analyze COT data,banks positions and prepare the trading setups for the following week before the markets open. This helps us to reduce the screen time by watching the markets tick. We always patiently wait till market price comes to our levels of interest before we execute. Over ninety percent of traders lose money, largely to lack of planing, training, discipline, and having poor risk management rules. Prepare your plan and if you are wrong simply exit the trades. Trading is a business and all Forex traders lose some money on some trades. It´s better to accept the loss while its a part of the plan. Please submit your details in a form below in order to receive test versions of Portfolio X. Don´t hesitate to contact us with any other questions regarding our products, education, brokerage companies or any other cooperation. We will answer as soon as possible. Subscribe for our newsletter and get the latest news first.